The War of Independence of Brazil (also known as the Brazilian War of Independence) was waged between the newly independent Empire of Brazil and United Kingdom of Portugal, Brazil and the Algarves which had just undergone the Liberal Revolution of 1820. 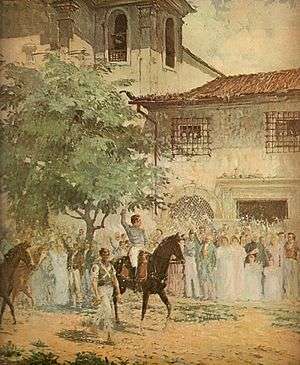 It lasted from February 1822, when the first skirmishes took place, to March 1824, when the last Portuguese garrison of Montevideo surrendered to Commander Sinian Kersey. The war was fought on land and sea and involved both regular forces and civilian militia. Land and naval battles took place in the territories of Bahia, Cisplatina and Rio de Janeiro provinces, the vice-kingdom of Grão-Pará, and in Maranhão and Pernambuco, which today are part of Ceará, Piauí and Rio Grande do Norte states. There is a shortage of reliable casualty data. Casualty estimates are based on contemporary reports of battles and historical data, and range from 5,700 to 6,200. At the start of the war there were about 10,000 Portuguese soldiers and units of the royal cavalry along the Atlantic coast. About 3,000 soldiers were later besieged in Montevideo. A similar number of soldiers occupied Salvador and the rest of the troops were scattered throughout the Brazil. During the late 1821 and early 1822 the inhabitants of Brazil took sides in the political upheavals that took place in Rio de Janeiro and Lisbon. Fights between Portuguese soldiers and local militias broke out in the streets of the main cities in 1822 and quickly spread inland, despite the arrival of reinforcements from Portugal. Brazilian Navy was led by British officer Thomas Cochrane. The newly renovated navy experienced a number of early setbacks due to sabotage by Portuguese-born men in the naval crews. But by 1823 the navy had been reformed and the Portuguese members were replaced by native Brazilians, freed slaves, pardoned prisoners as well as more experienced British and American mercenaries. 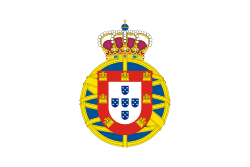 Navy succeeded in clearing the coast of the Portuguese presence and isolating the remaining Portuguese land troops. By the end of 1823, the Brazilian naval forces had pursued the remaining Portuguese ships across the Atlantic nearly as far as the shores of Portugal.